Bought or thinking about buying one of these of ebay and are wondering about how it should be wired up? They're actually quite cool. 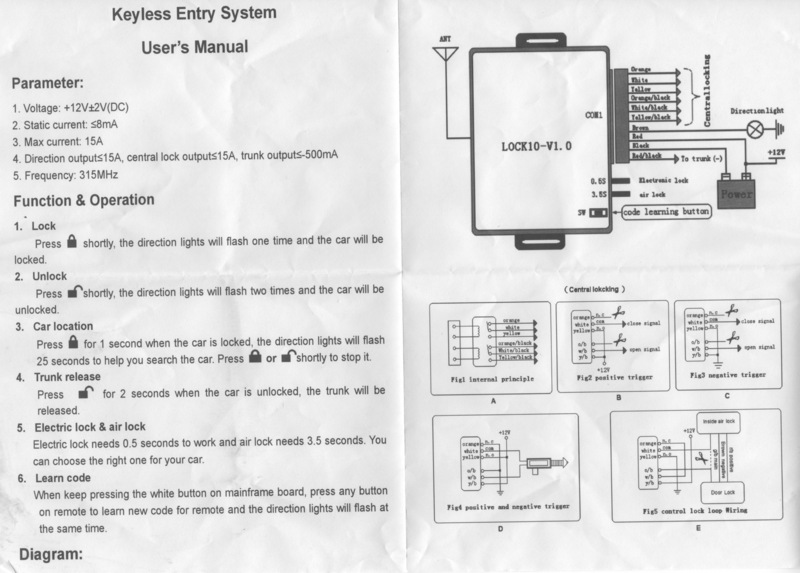 It's marketed as retrofitting keyless entry to your old car, but it can be used for any purpose - like controlling garage door openers. It has decent range and two generic relays (matching the open and close buttons) that can be used for any purpose, not just 12V systems.